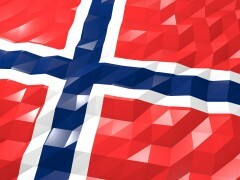 Euronext is getting ahead in the bid race for the Oslo Stock Exchange with a recent recommendation by the Norwegian Financial Supervisory Authority (Finanstilsynet) to the Norwegian Ministry of Finance. This follows Nasdaq’s most recent bid of $795 million. The Norwegian regulator has said that Euronext should be approved as a suitable owner of up to 100% of the capital of Oslo Børs VPS, as applied for, without ownership or other restrictions. Euronext only needs approval by the Norwegian Ministry of Finance, the last condition to complete the transaction. The European contender says it remains confident it will be able to complete the transaction by the end of Q2 2019. The potential buyer has confirmed that it will ensure that all remaining shareholders will get an opportunity to tender their shares to Euronext as per regulatory approval. Euronext has already announced that Tom Vidar Rygh, senior advisor at international private equity fund Nordic Capital and previous chairman and member of the board of Oslo Børs, will join the board of directors of Oslo Børs VPS if the transaction is completed. Nasdaq is the second-largest stock exchange in the world by market capitalisation, behind the New York Stock Exchange.